Shanna Gage is an avid equestrian who found her passion early in life. For more than thirty years, Shanna’s love for horses has taken her on many wonderful journeys. Shanna a Bay Area native, born in San Francisco, currently lives at the base of Mount Diablo, in the heart of Walnut Creek’s horse community with her two children. She is an international award winning horse rider and breeder. Her notable accomplishments as a rider include three Arabian Horse Association’s National Champion titles. She is heavily active in spearheading and leading numerous community outreach programs for youth whom are interested in veterinary medicine. Her projects, seek to engage traditionally underrepresented groups in the veterinary medicine profession and have a global reach. In addition to the curriculum/workshop-saturated program, BAE Pre-Vet Program provides volunteer leadership training for young people. 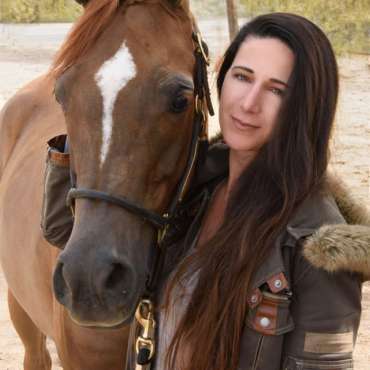 Shanna Gage is the co-founder and director of the BAE Pre-Vet Program, she is also the co-founder and serves on the Board of Directors for the Bay Area Equestrian Club, a nonprofit organization.